Carry the cheerful spirit of the cheeky pīwakawaka wherever you go with the stylish Geometric Pīwakawaka Pin! The pīwakawaka, or fantail, is one of New Zealand’s best loved native birds. Carry the cheerful spirit of the cheeky pīwakawaka wherever you go with the stylish Geometric Pīwakawaka Pin! The pīwakawaka, or fantail, is one of New Zealand’s best loved native birds. These adorable birds are known for their distinctive black and white fan-shaped tail and friendly, curious nature. It is not uncommon to see pīwakawaka flying closeby and even following you as you walk through their native habitat. Now that’s what we call close encounters of the cutest kind! The DQ Geometric Pīwakawaka Pin makes a fashionable accessory to any outfit. Pin it to your winter coat, summer dress, cardigan, bag- anywhere! 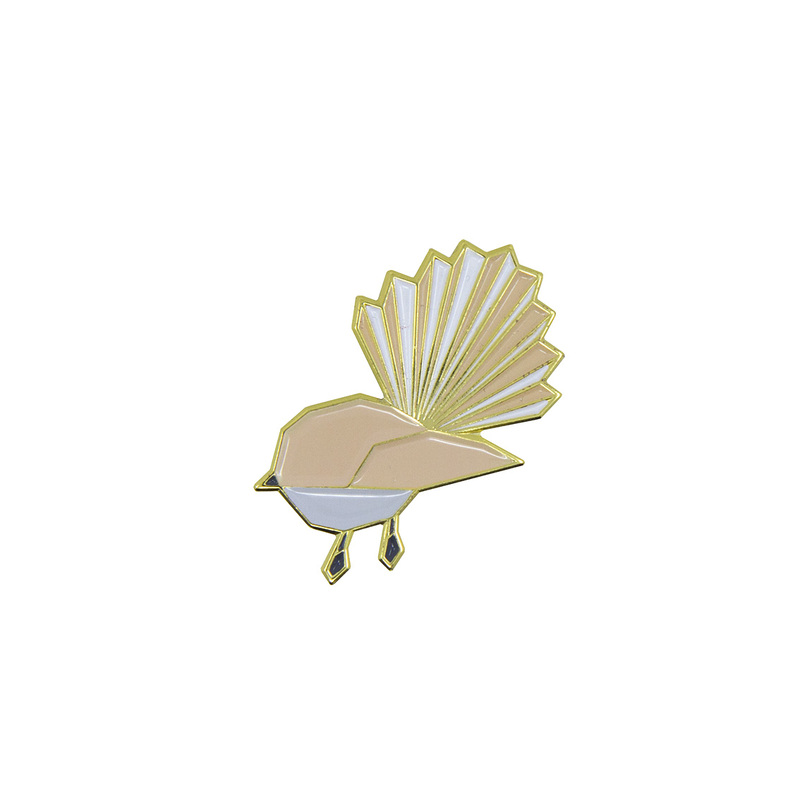 This pin is a perfect gift for anyone to show off their love of kiwiana and New Zealand’s native birds. Looking sharp in pink and white with gold trim, it’s sure to stand out. Don’t miss out on the latest craze of pins and badges- take home your own DQ Geometric Pīwakawaka Pin today! Also available for purchase in store at the Cable Car Museum and Wellington Museum.